We can’t wait to welcome you home to Montgomery Woods Townhomes. Whether you are a busy professional in the market for a one bedroom townhome or a family searching for a pet-friendly two bedroom, bi-level home, you will find what you’re looking for in our community. 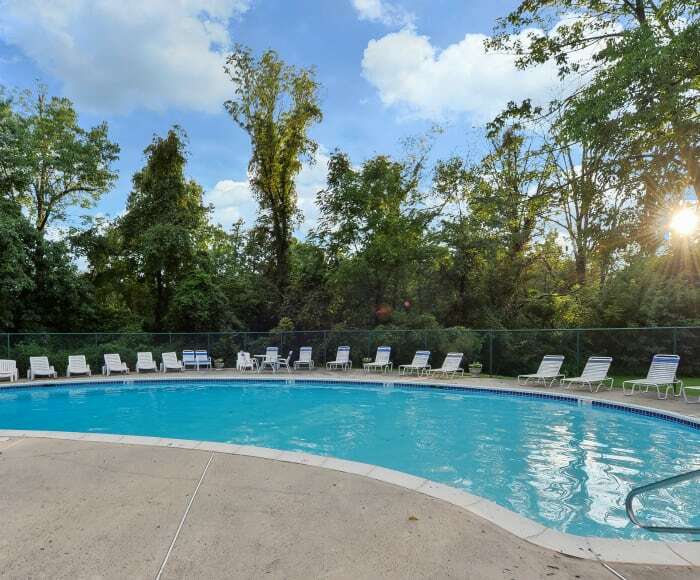 We offer one and two bedroom townhomes for rent in Harleysville, Pennsylvania. Complete with a spacious layout, an oversized chef-inspired gourmet kitchen, and second floor laundry, your new townhome is full of top-tier features. Our community offers an array of complimentary, open-air amenities. Enjoy the sparkling waters of the outdoor swimming pool. Work up a sweat at our state-of-the-art outdoor fitness stations. Or take a stroll or ride through the bike trails. You will love the privacy of our secluded, country setting, with the conveniences of the suburban living.